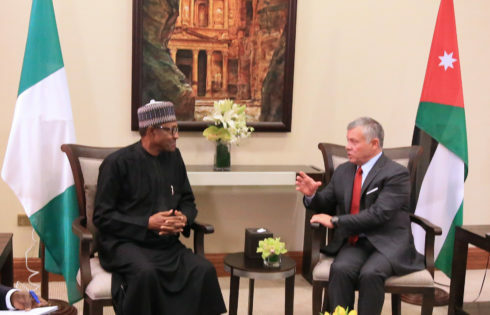 PRESIDENT BUHARI BILATERAL MEETING WITH KING OF JORDAN 1 President Muhammadu Buhari in a bilateral meeting the King of Jordan, Abdullah II bin Al-Hussein on a sideline of the World Economic Forum on the Middle East and North Africa taking place at the Dead Sea in Jordan. 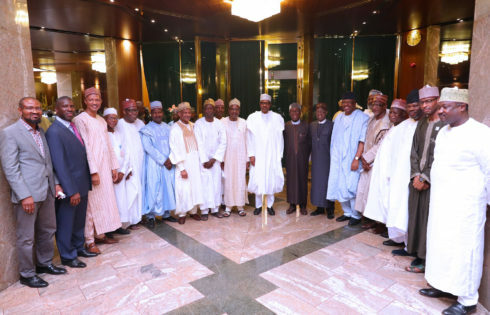 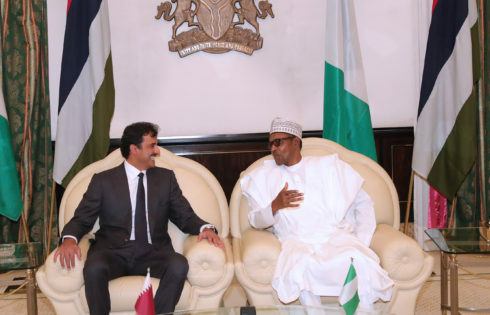 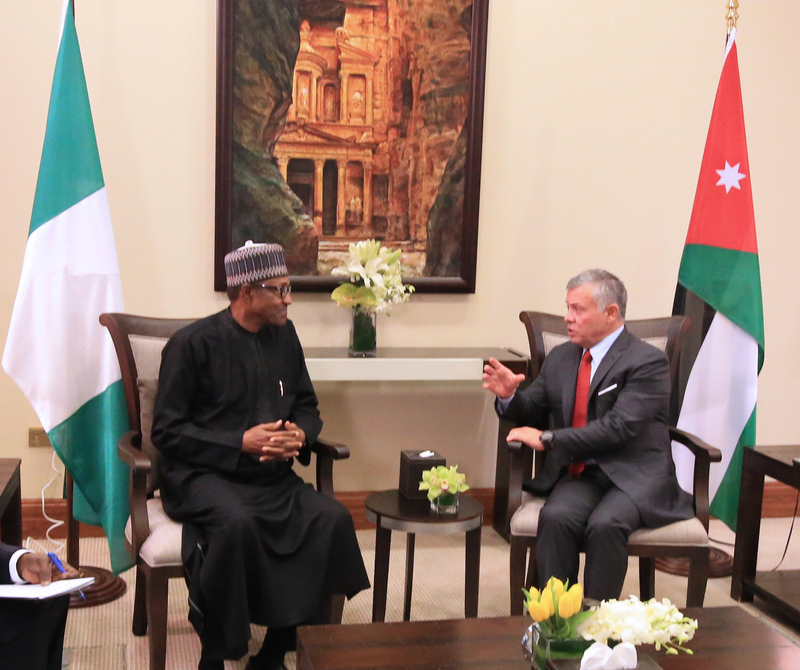 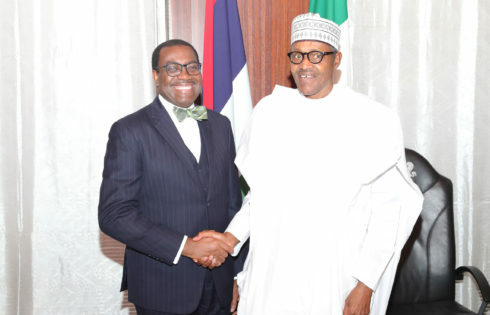 PRESIDENT BUHARI BILATERAL MEETING WITH KING OF JORDAN 2. 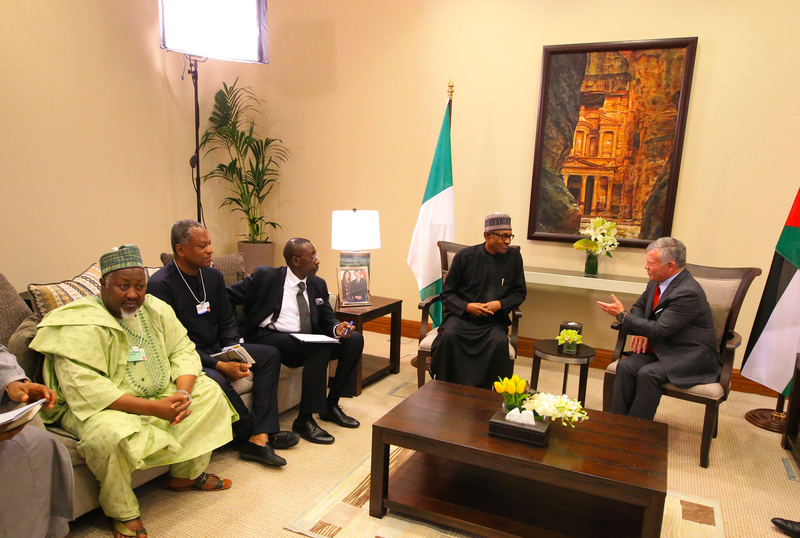 President Muhammadu Buhari in a bilateral meeting with the King of Jordan, Abdullah II bin Al-Hussein. 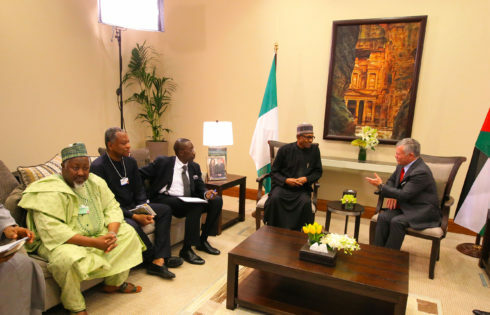 Others are NSA Maj Gen Babagana Monguno, Minister of Foreign Affairs, Geoffrey Onyeama and Governor of Jagawa State Abubakar Baderu on a sideline of the World Economic Forum on the Middle East and North Africa taking place at the Dead Sea in Jordan.